May 5, 2017 – Sonoma, CA – Now a staple of the Northern California horse show circuit, made possible with the support of Sonoma Horse Park, the 2017 Giant Steps Charity Classic is just under 90 days away. Along with the fundraising happening at the event, the convenience of online bidding for the Giant Steps Silent Auction returns this year. The spectacular silent auction offerings will be available to all ‘connected’ bidders around the world, via smartphone, tablet or desktop. The bidding begins on Monday, July 31 and continues through the horse show week of August 2-6. While the show rings roll, featuring a number of highlight sponsored classes and various sponsored classics, the silent auction will keep everyone from onsite spectators and exhibitors to fans from afar engaged. With the remote bidding opportunity, items such as four tickets to the 2018 NCAA Final Four Championship games, an instant wine cellar, a personalized photoshoot with Tara Arrowood, consulting session with Branded by EQ, and a week-long stay at a private ecological reserve­—the most biodiverse place in the world for birds—in coastal Ecuador will be available to all. More of this year’s unique offerings will be announced on social media in the coming weeks. In addition to the joy of giving back, the silent auction can bring exciting opportunities for new adventures. 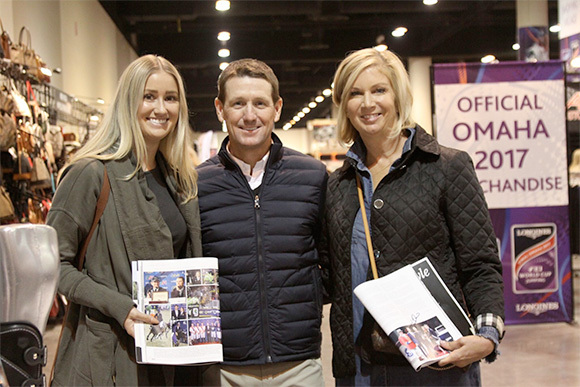 Last year, mother-daughter duo Dawn and Hannah Klinedinst were the winning bidders for tickets to the 2017 Longines FEI World Cup Finals in Omaha. Truly a memorable experience, not only did they witness the best show jumping in the world, and some luxurious shopping, but they were personally introduced to several top riders, including Italy’s Lorenzo de Luca and 2017 World Cup Final Champion McLain Ward. As part of the lot, Horse & Style Magazine will feature the Klinedinst’s experience in its upcoming May/June issue. Have an item or service you would like to offer? It’s not too late to donate to this year’s silent auction! 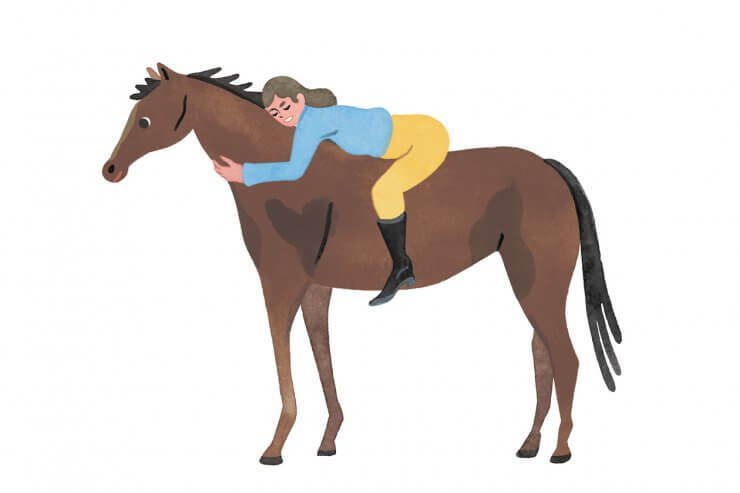 Contact Beth Porter at (415) 260-0898 or at beth@gianstepsriding.org. 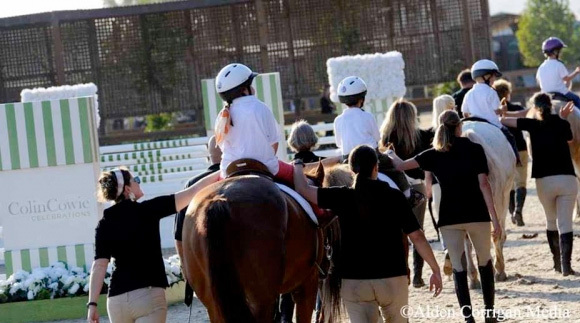 For seven years equestrians have come together to compete and fundraise at this event for Giant Steps Therapeutic Equestrian Center. 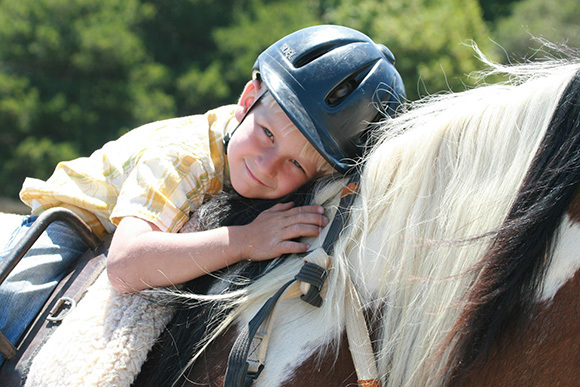 A remarkable organization, the Center enriches and changes the lives of children and adults with disabilities through the extraordinary benefits of therapeutic riding and related equine-assisted activities. Now in its second year, the online silent auction has increased the tremendous fundraising impact of the horse show, enabling the Center to grow its programs and share the rewards long past the excitement of the event itself. Last year’s Giant Steps Charity Classic raised over $125,000. 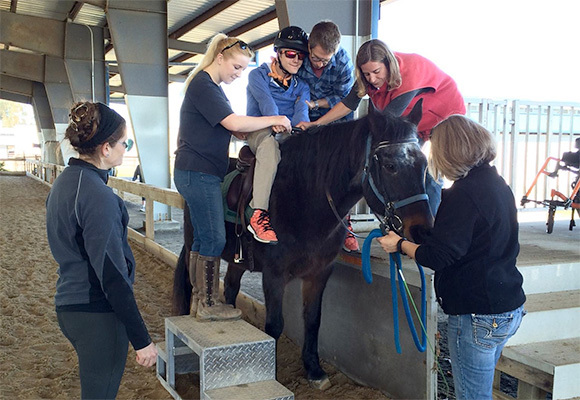 In doing so, the Center was able to expand its therapeutic impact beyond the established mounted riding program. From eight Bay Area counties, clients aged 4-88 with a wide variety of abilities and disabilities worked with Giant Steps’ incredible volunteers in four different sessions, totaling 31 weeks of classes. The fall session included a record-breaking number of 127 weekly riders. “We have always promised never to turn away a rider for lack of means, and in 2016 we continued that tradition. Approximately 42% of our riders received some level of scholarship, with the majority of them (71%) receiving full scholarships,” the Center stated in a release. This year, the Giant Steps Charity Classic will incorporate classes for Giant Steps riders, including a lead line class and a walk/trot competition. Riding Demonstration at the 2015 Giant Steps Charity Classic. Photo © Alden Corrigan Media. Incorporated into the week with the silent auction and the horse show will be fun events for interactive fundraising. Friday will kick off a jam-packed weekend with the Junior Relay and the Junior/Amateur vs. Professional Battle Class, accompanied by the Calcutta auction. The Calcutta auction will engage both spectators and exhibitors alike. Attendees will bid, auction style, on the team (riders are placed into teams solely for bidding purposes) they think will win Saturday night’s $40,000 Grand Prix. If any member of the bidder’s team wins the Grand Prix, that bidder will head home a winner as well. The auction winner will get a jump for the 2018 season. Be sure to mark your calendar for the not-to-be-missed Giant Steps Charity Classic Silent Auction and Horse Show. To get a jump on the latest offerings, opportunities to bid, and more, be certain to follow Giant Steps and Giant Steps Charity Classic on Facebook and Instagram to stay connected. Get the latest delivered to your email inbox by joining the Giant Steps Mailing List. Special thanks to Sonoma Horse Park for once again partnering with our organization for this event. Giant Steps is grateful for the support of our initial sponsors of the Giant Steps Charity Classic – including Townsend Equestrian, HALTER Fund, Aubrey Grace Memorial, Montgomery Creek Ranch and Chestnut Hill. For sponsorship opportunities, please contact Beth Porter at (415) 260-0898 or at beth@gianstepsriding.org.